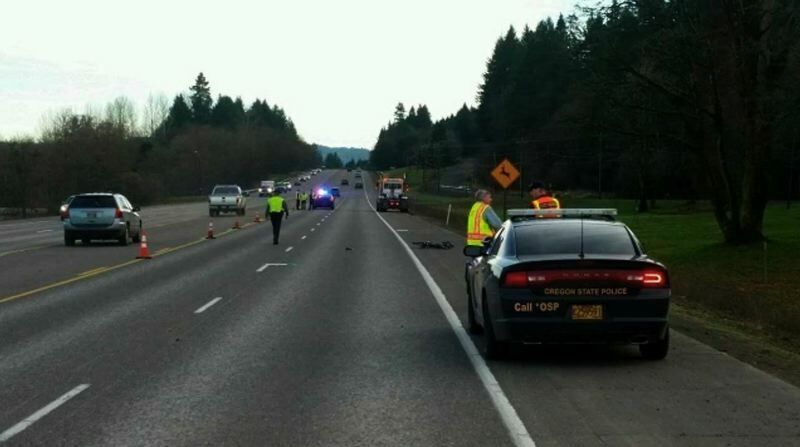 Oregon State Police are investigating a fatal collision involving a cyclist and a "commercial motor vehicle" in Multnomah County. Police responded to reports of the crash around 1:35 p.m. on Saturday, Jan. 12 on Highway 30 near milepost 17. Authorities say St. Helens resident Dustan Thompson was traveling east in a truck cab with no attached trailer when he collided with Scott Graser, a 54-year-old Scappoose resident, who was also traveling east toward Portland on a bike. Graser "entered the eastbound right lane" before the crash, according to a news release. He died of his injuries. Thompson was not injured and is said to be cooperating with the investigation, which continues.